It's a win win for you and your cat. They stay in familiar surroundings and you have one thing less to worry about. By choosing to use the services of a local London cat sitter, you don't have to impose on a friend, neighbour or relative. Peace of mind comes with knowing not only does your cat have overnight care, but that your home is not empty for long periods or over night. A selection of some current and past furry clients. Hope you enjoy them as much as we have. 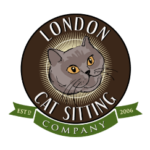 The London Cat Sitting Company is a London based Cat Sitting service established in 2006 by a caring dedicated pet owner. We have fully insured cat sitters and house sitters throughout London, Essex and Surrey. We started using London Cat Sitting Company last summer after Remi was referred to us by one of my husbands’ colleagues in Chicago, who had made use of their service while working in London. 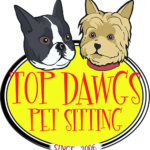 I’m so glad he did as we have found them to be invaluable, all you need and more from a pet care service. Being new to Britain, we intend to make the most of being close to the rest of Europe and always know Daisy our aging American Short Hair cat is in good hands. We just came back from holidays. I wanted to praise Veronica's house and cat sitting service. She was adorable and perfect. There are honestly no word to praise highly enough the work that she did with our cats. We are extremely satisfied and happy with the way she came across and al that she did. I would appreciate if you can pass this on to her. Thank you so much for looking after Pippa while we were away. We will definitely be using your service again. We first contacted Remi and her team in 2007 when we lived in Kilburn and was very happy with them. Our cat sitter Ann was wonderful and took care of Gismo our tabby over the course of 2 years. We moved for work to Edinburgh but have returned to London and happy to know London Cat Sitting Company covers Stoke Newington and even better is based in Stoke Newington. Highly recommended. 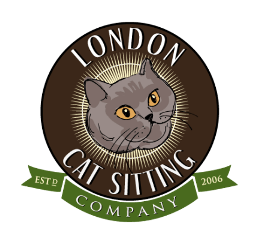 We are a traditional cat sitting company, managed by the owner, who liaises with clients and cat sitters daily, here in London. We are NOT a portal owned by faceless investors abroad. All Cat Sitters work under the direction of the founder, Remi. All Cat Sitters have a CRB check. We verify their identities, and home address. We check past and present employment references, and equally important, we have to personally like them before they join our team. You must be registered with us to book cat sitting service. This will be followed by a phone call from your assigned pet sitter, who will meet you and your kitty at a convenient time for you. Once you are on our system, you can book, make changes and pay on line anytime using our app. Please contact us if you have any problems in registering.